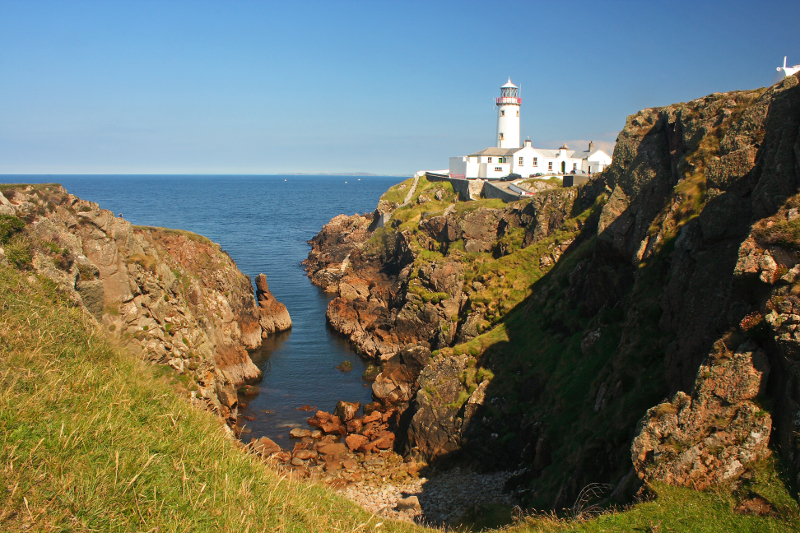 Fanad lighthouse, and below, Ballyhiernan Bay beach. 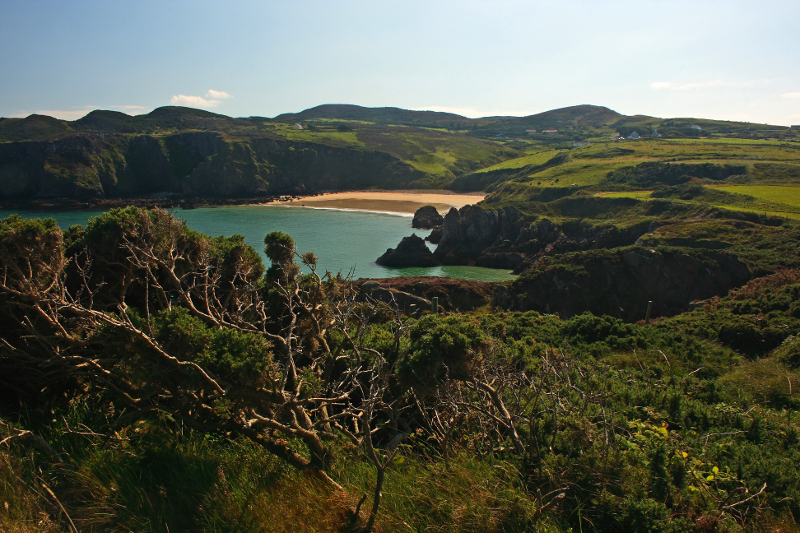 My next post will be on a visit to the Fanad Peninsula back in May, but its a place I’ve been to many times over the years, and I thought I would post some of the older photographs I’ve taken there on some of those trips. 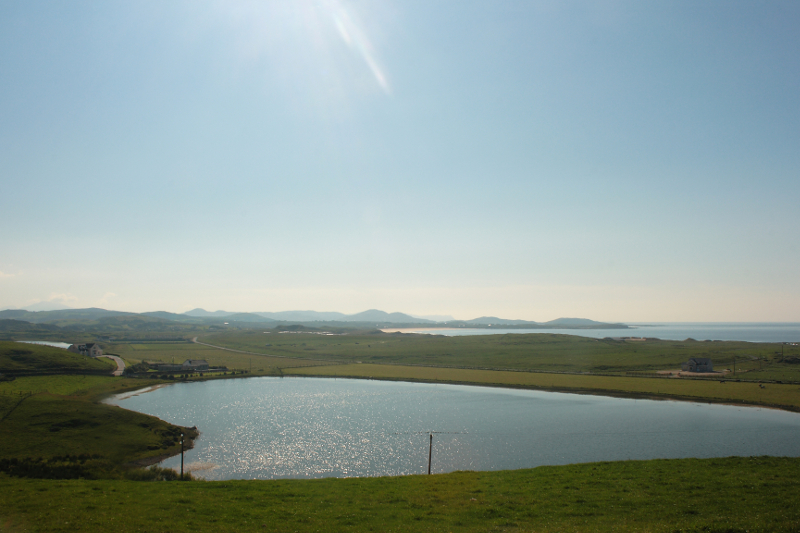 Most of them have been taken a fair while ago, and I wouldn’t necessarily be happy with them all, but I’ve included them, warts and all, to give an idea of the area. 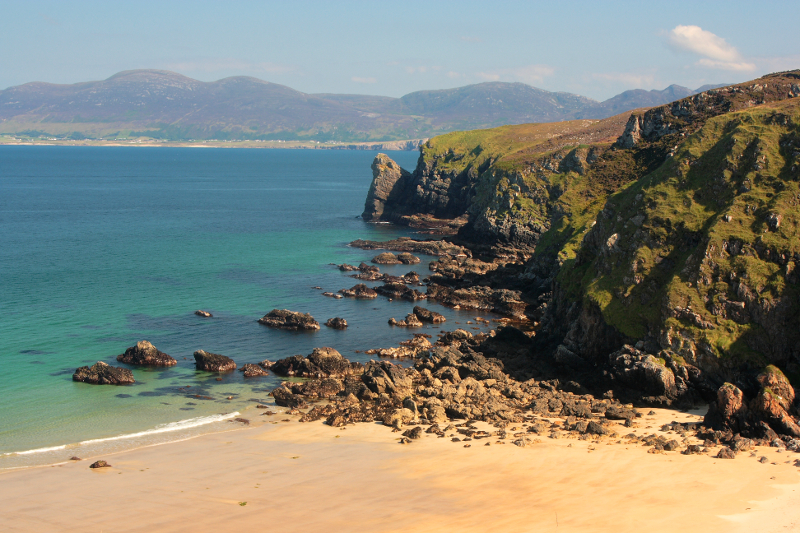 The peninsula is one of several found in north Donegal, with the larger Inishowen Peninsula to the east, and Rosguill to the west. 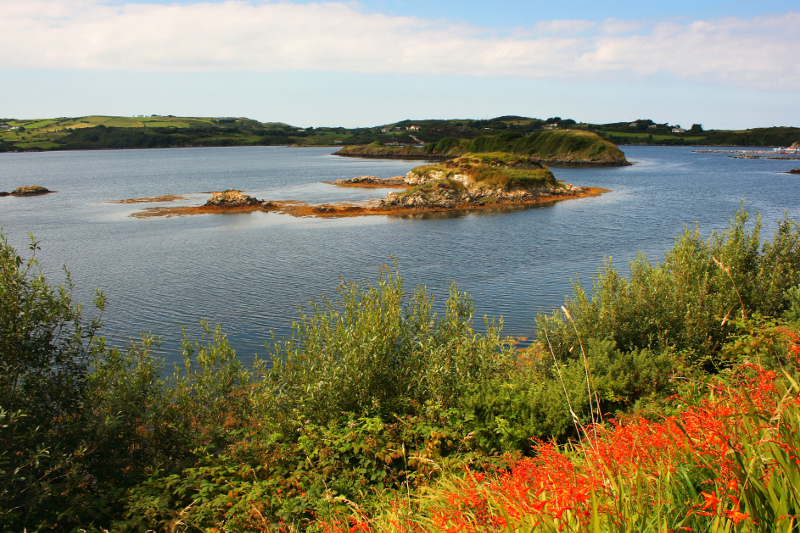 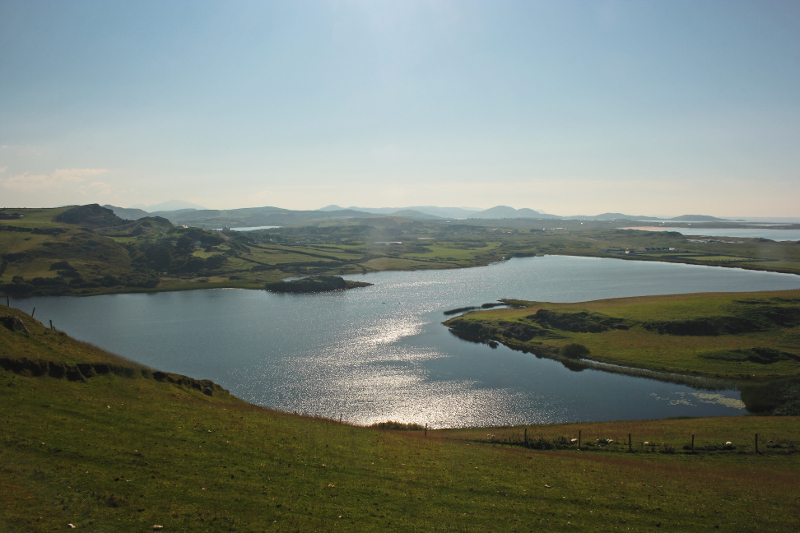 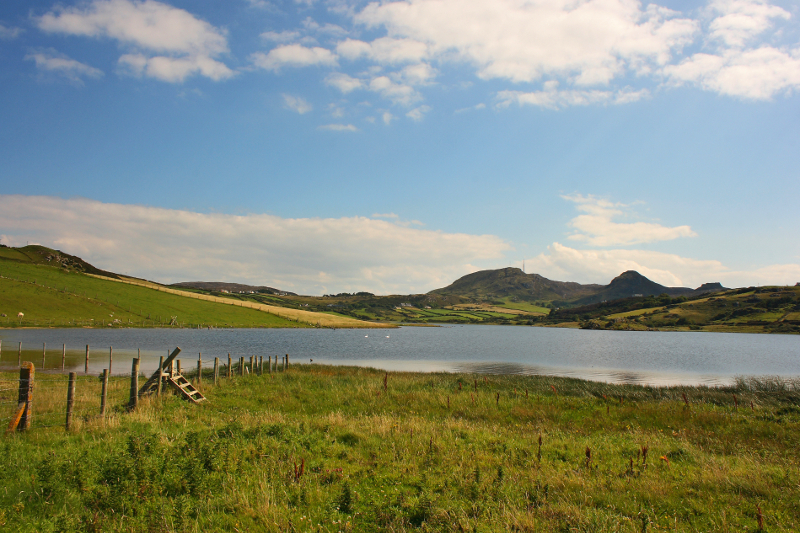 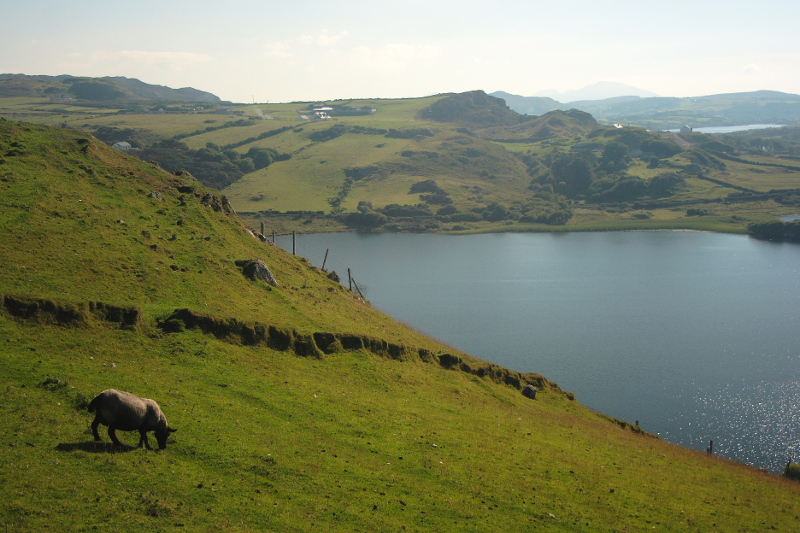 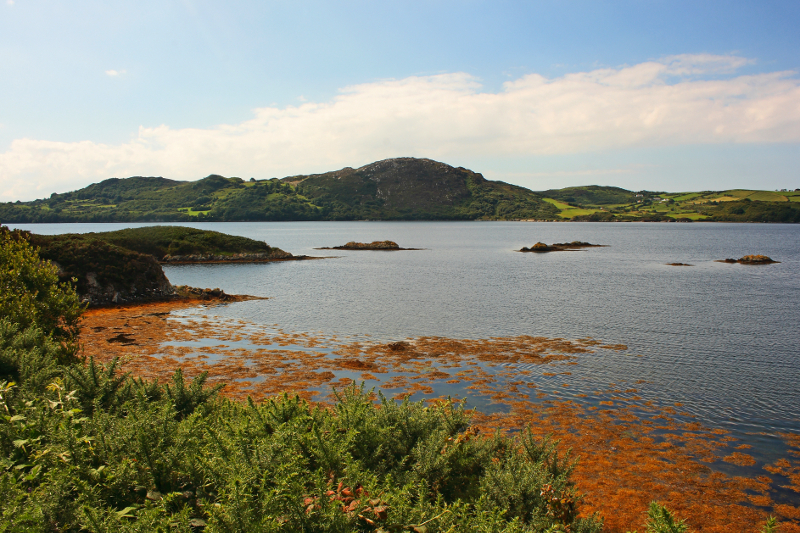 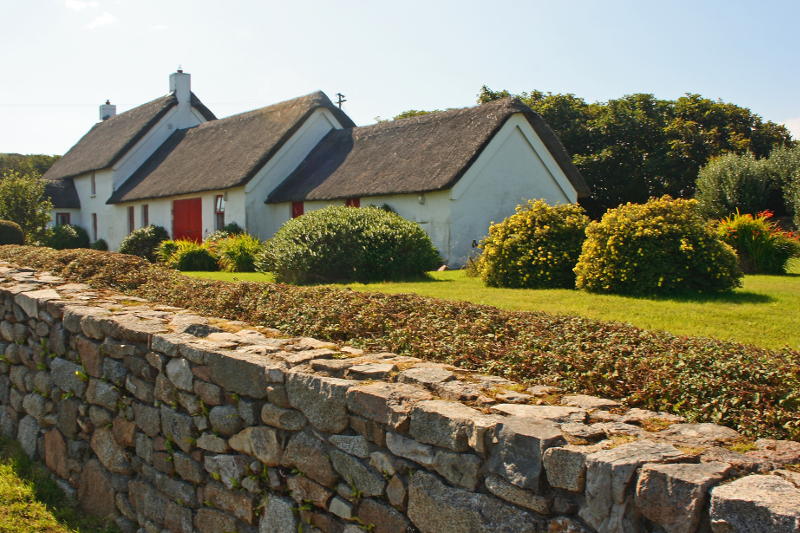 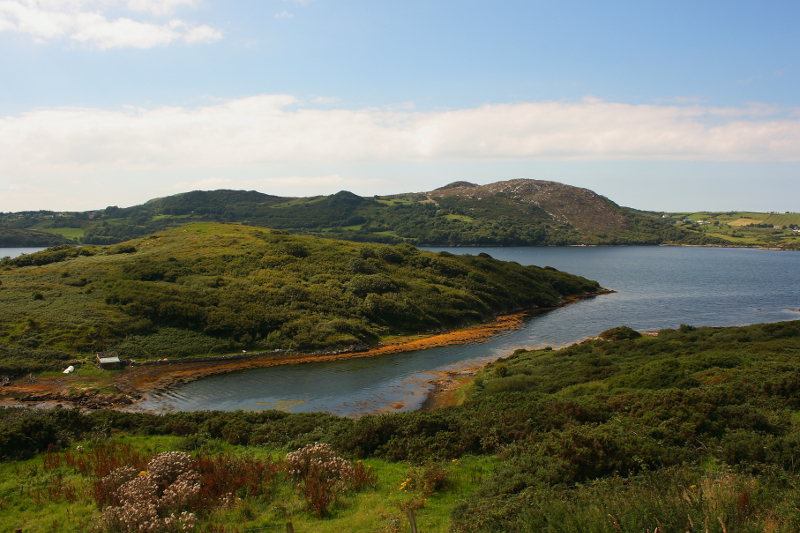 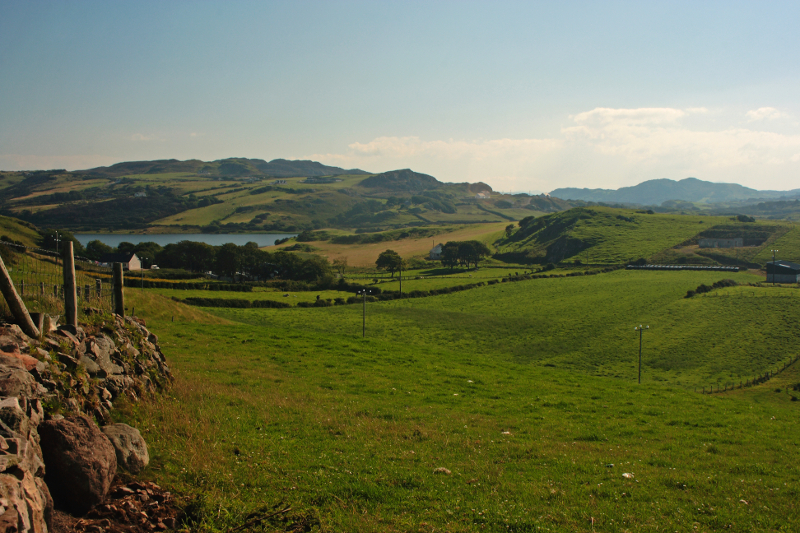 In between, are long sea inlets – Lough Swilly on the Inishowen side, and Mulroy Bay on the Rosguill side. 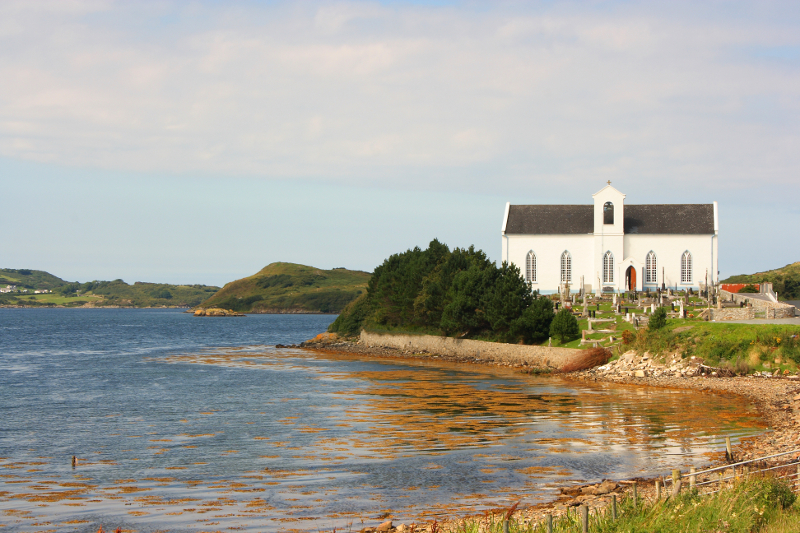 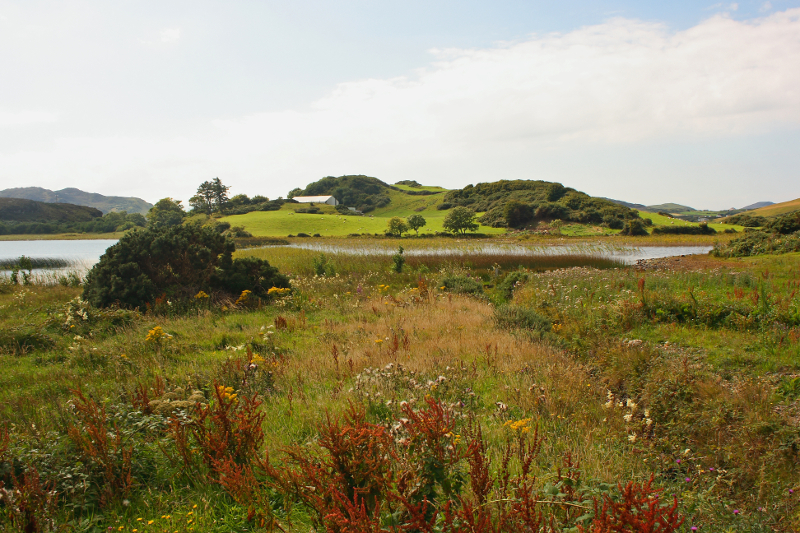 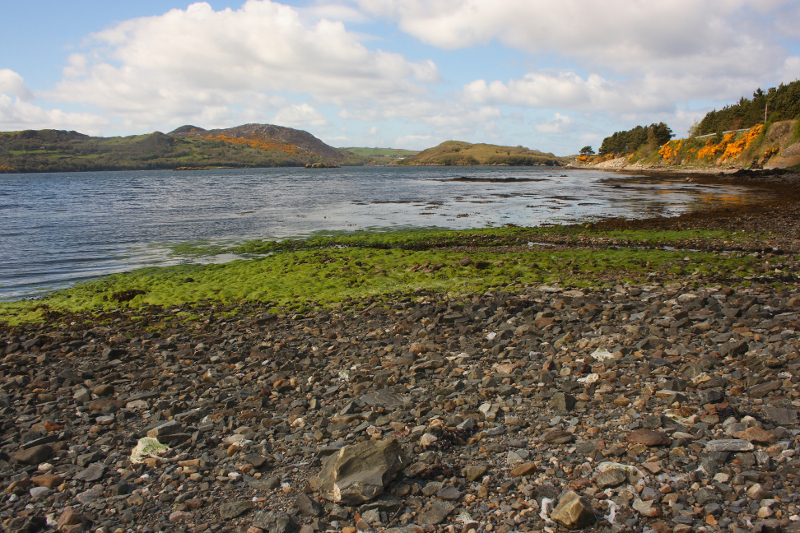 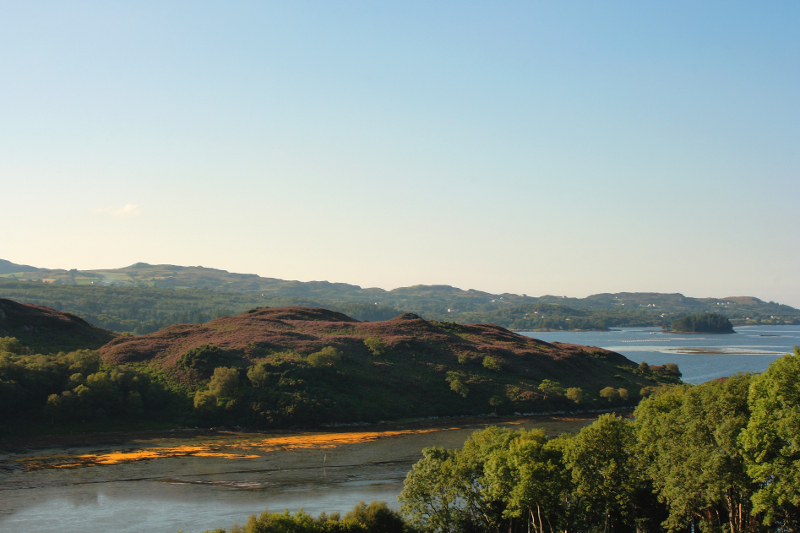 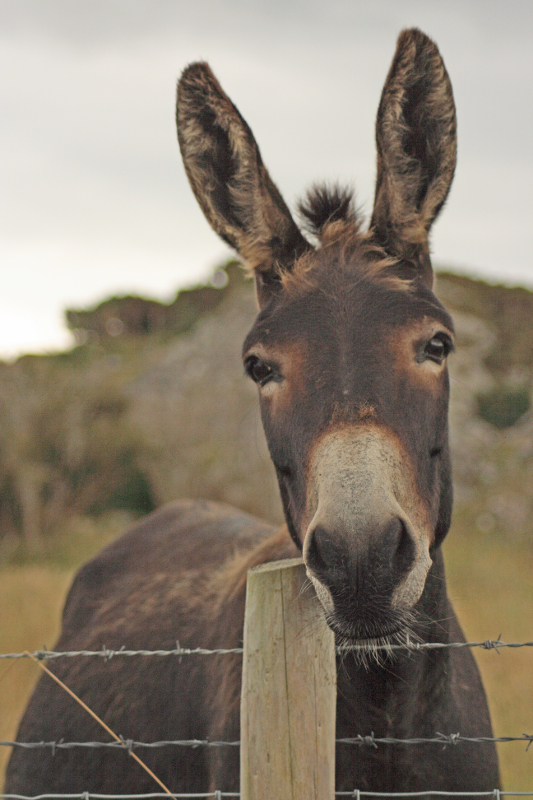 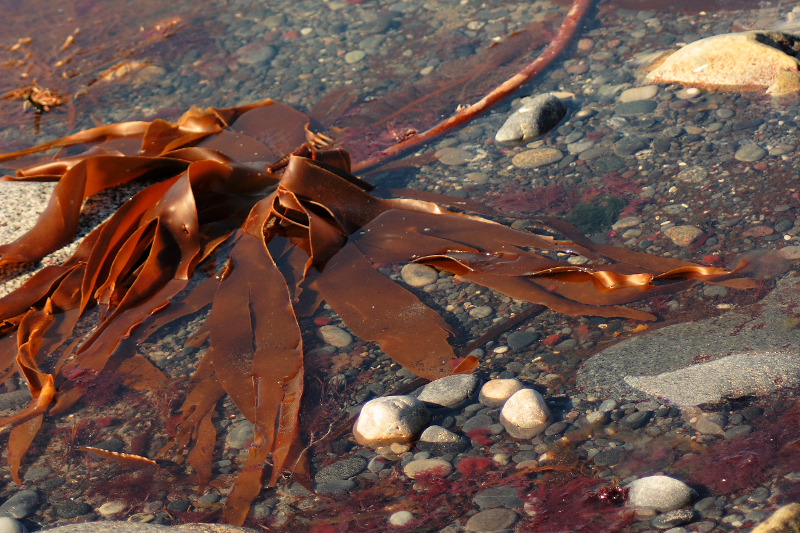 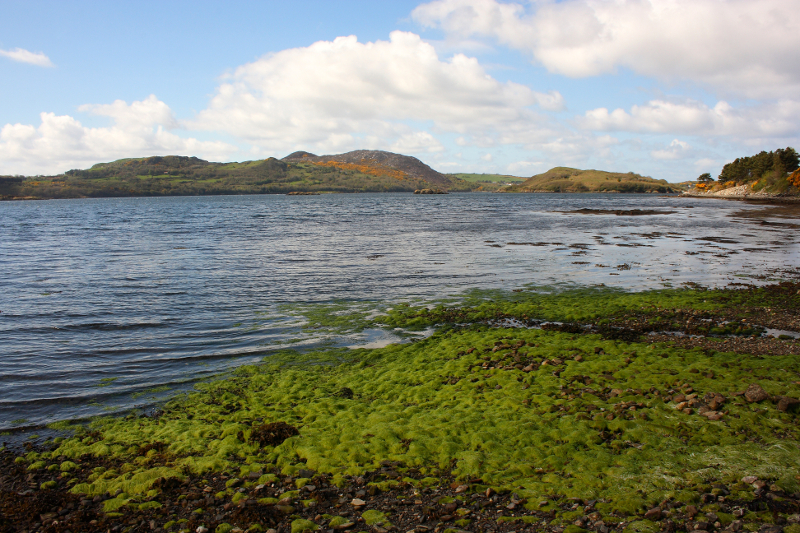 I’ll start with some shots taken on the western side, along the shore of Mulroy Bay. 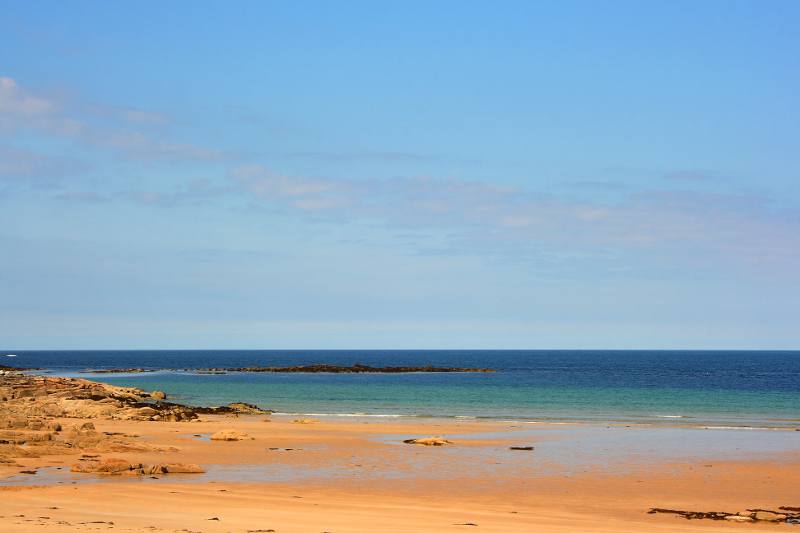 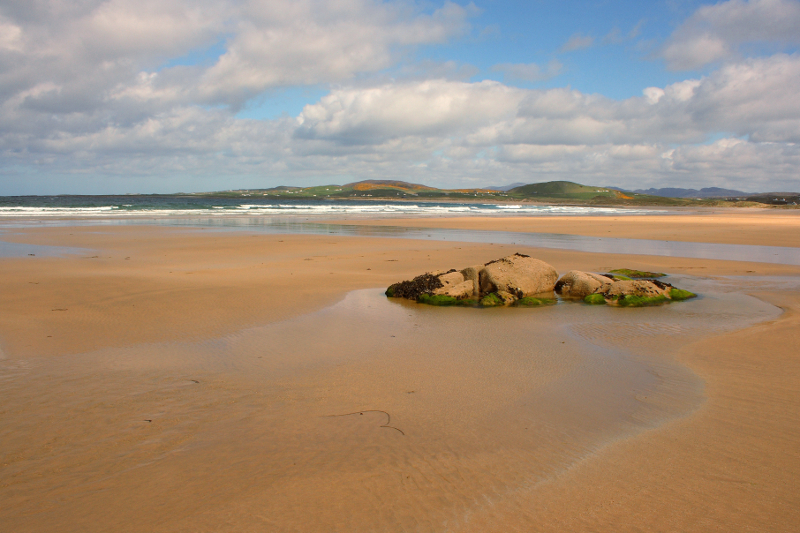 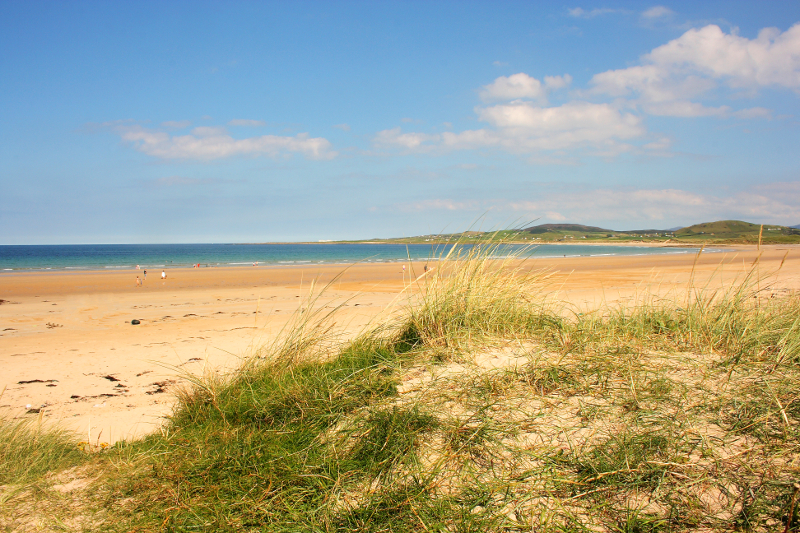 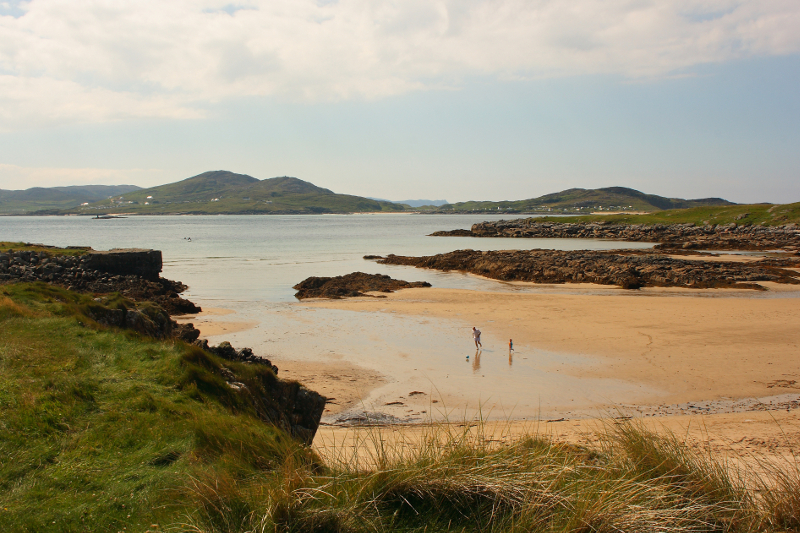 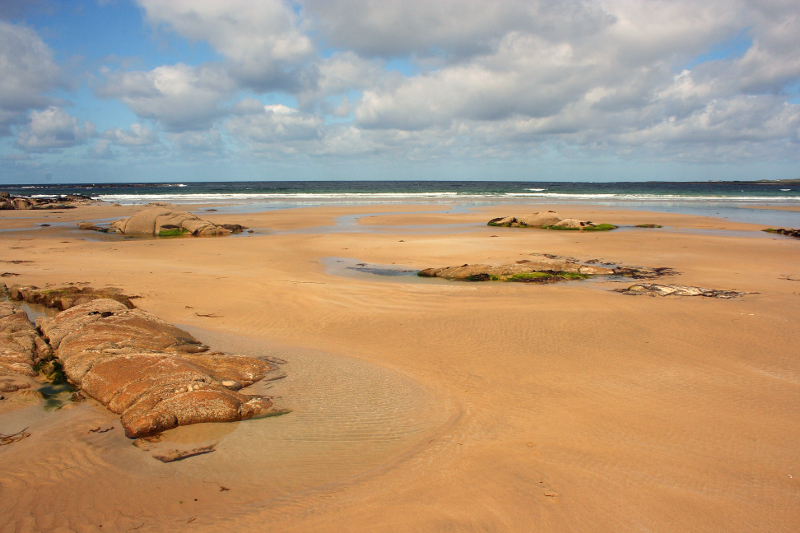 Continuing north, you arrive at Ballyhiernan Bay and the beautiful beach. 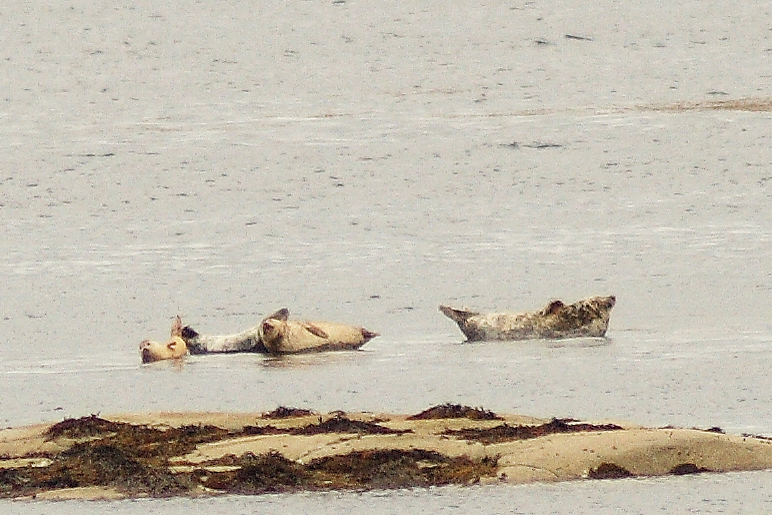 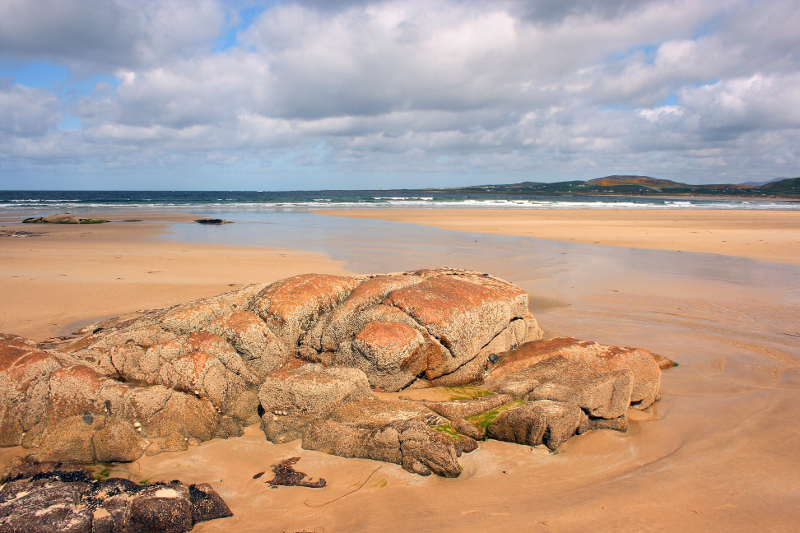 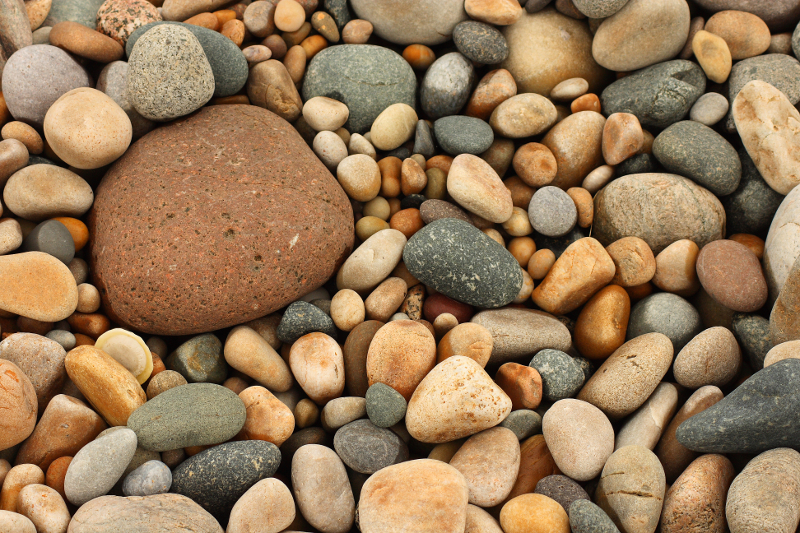 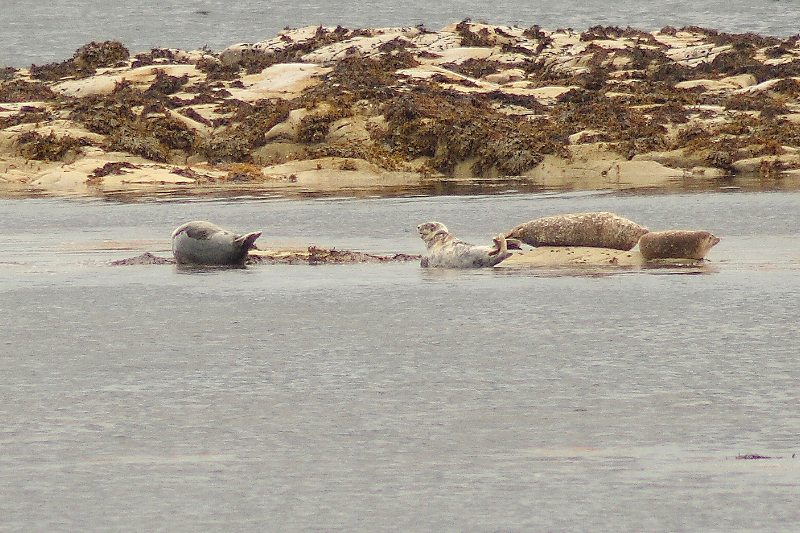 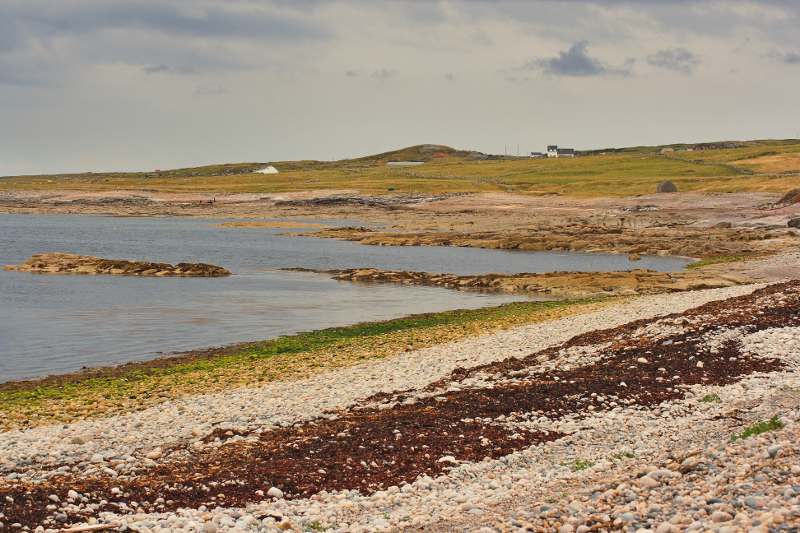 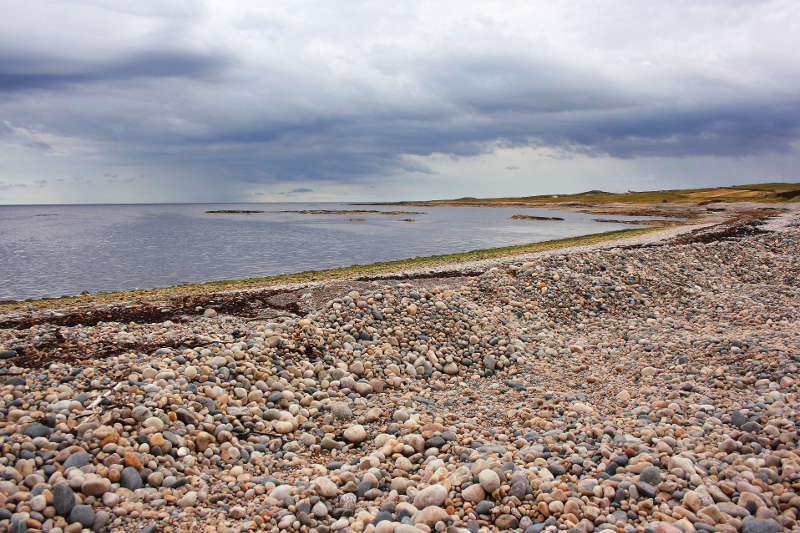 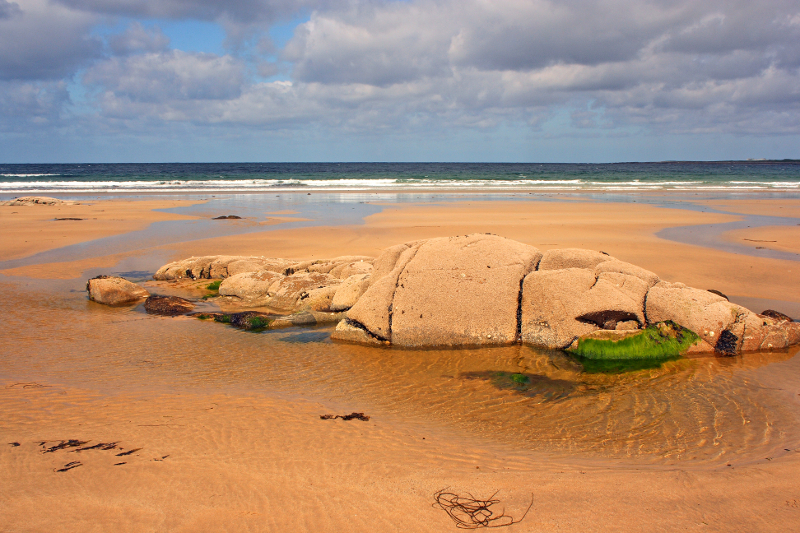 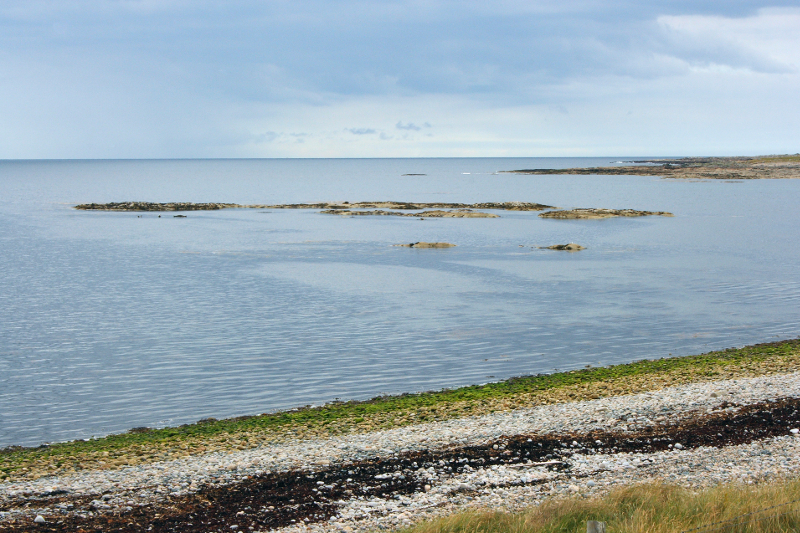 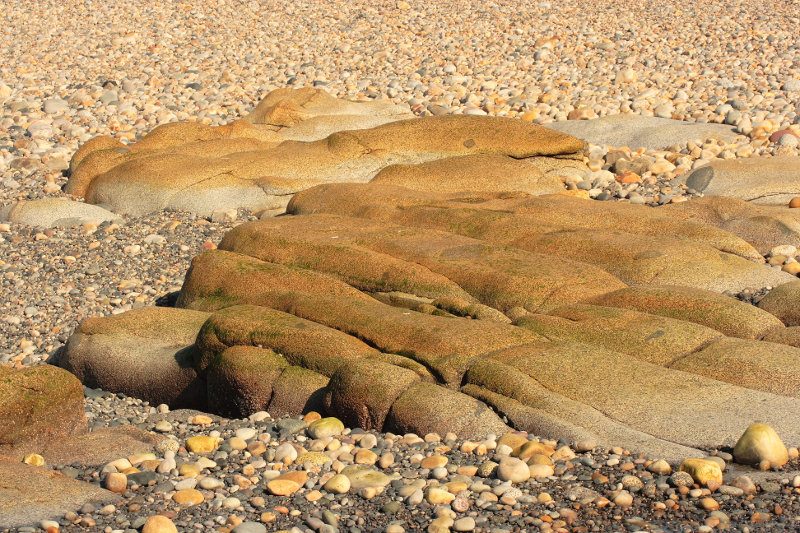 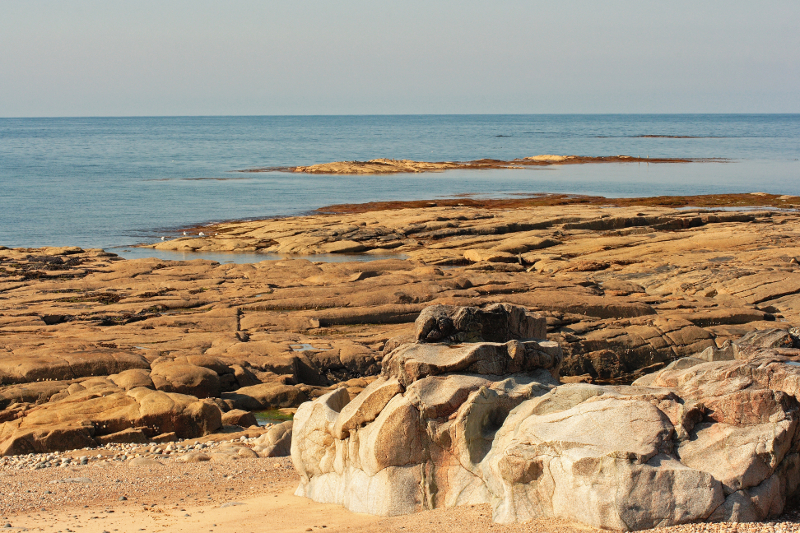 Continuing northeast, Glashagh bay is a stony beach, with rocky reefs offshore often being occupied by seals. 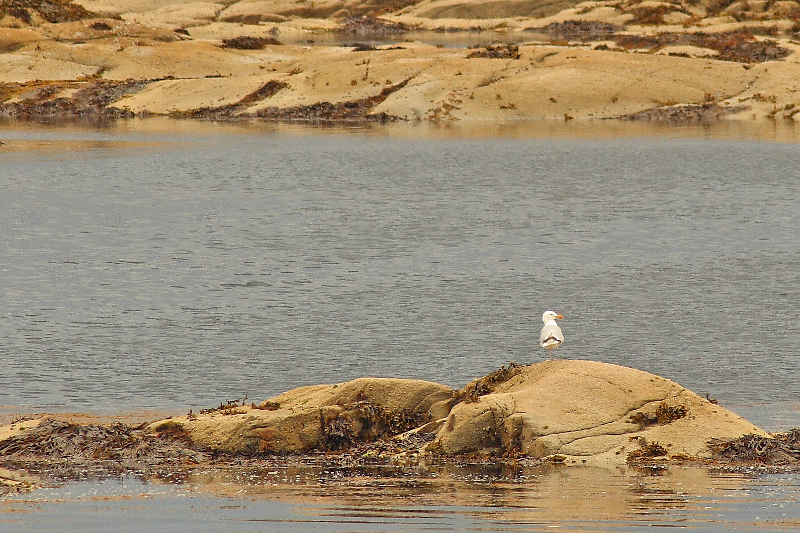 The bay is also teeming with birdlife. 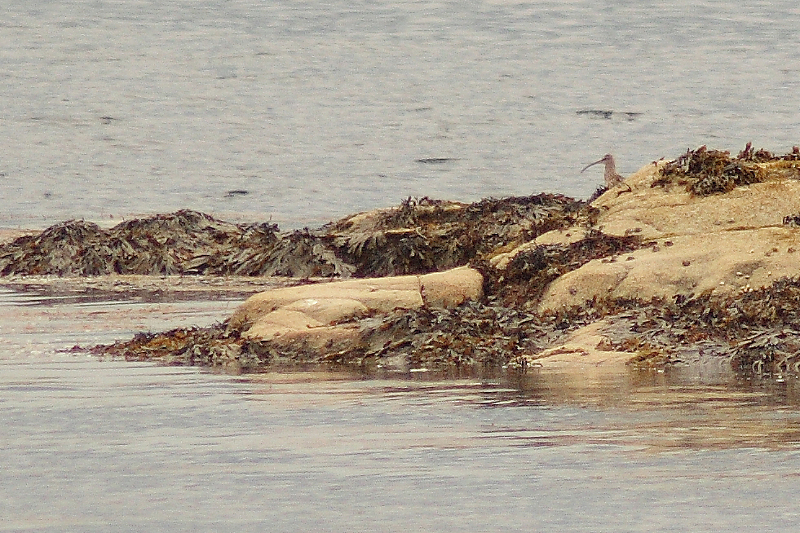 A curlew emerging from behind the rocks. 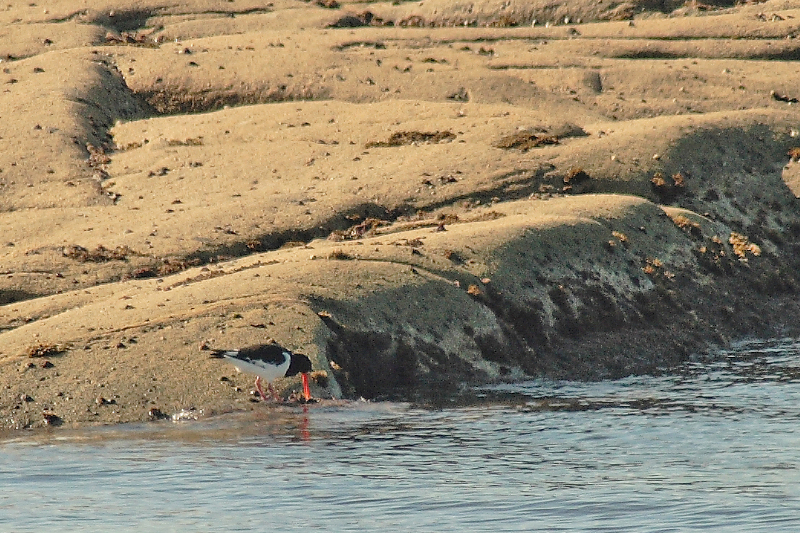 An oystercatcher foraging along the shoreline. 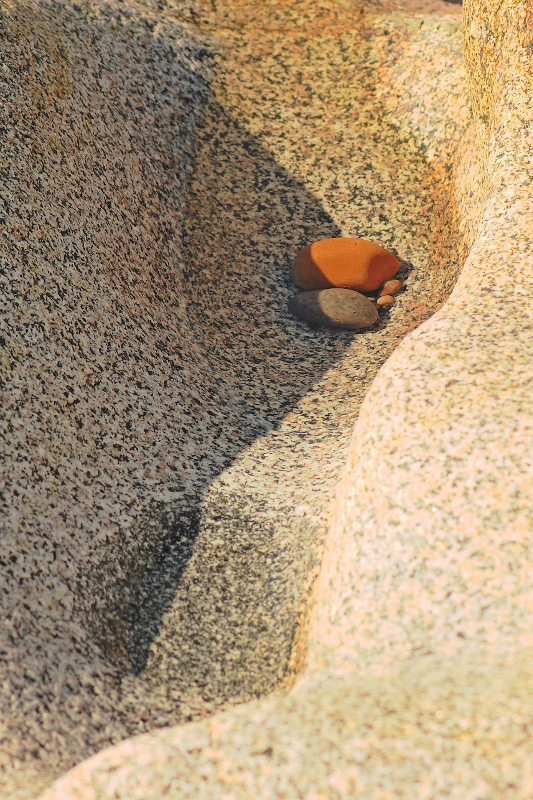 The rocks and pools themselves here can be an interesting subject. 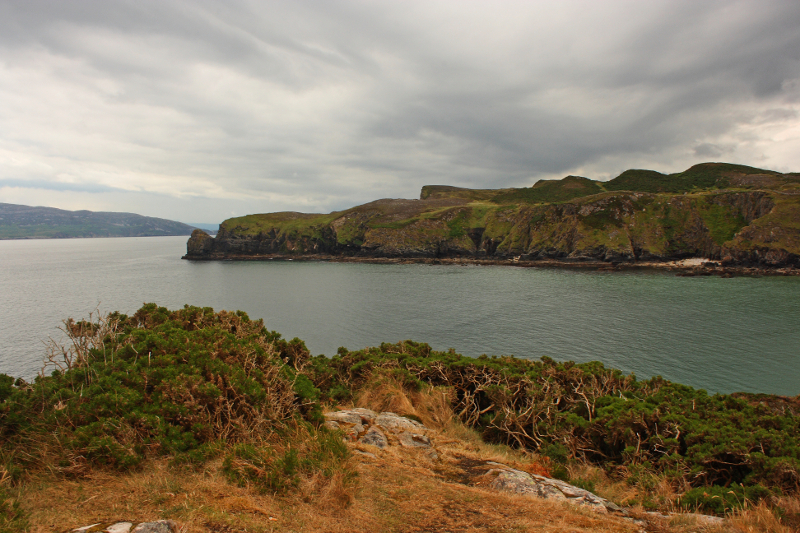 To the west, there is a large area branching off the main peninsula which I won’t cover really in this post, but I will explore in upcoming posts. 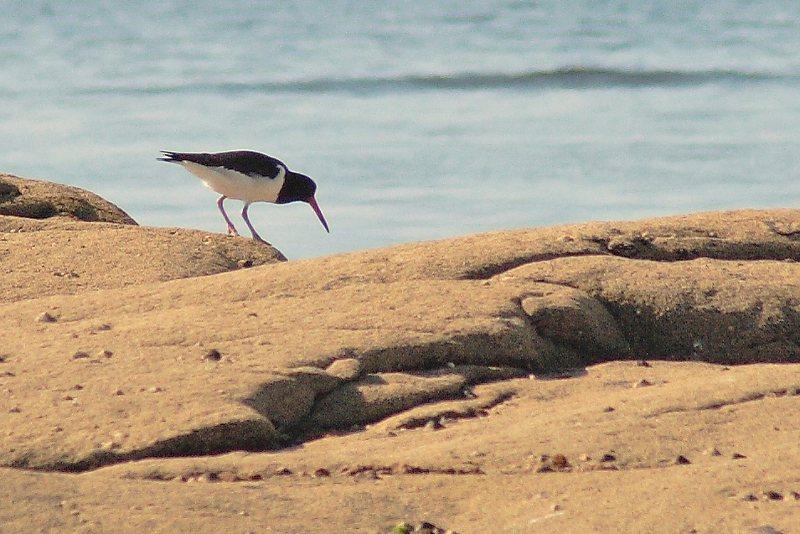 The shot below is from a little beach in that area. 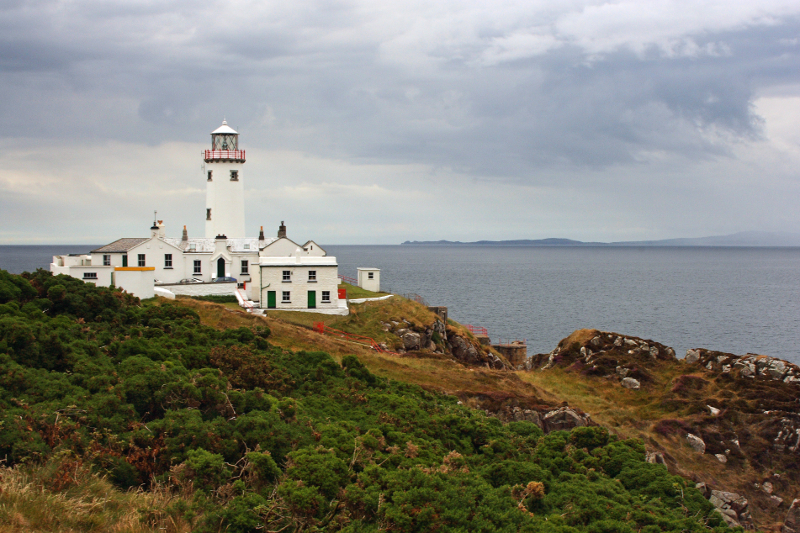 For this post, continuing instead to the northeastern part of the peninsula, you arrive at the much photographed lighthouse. 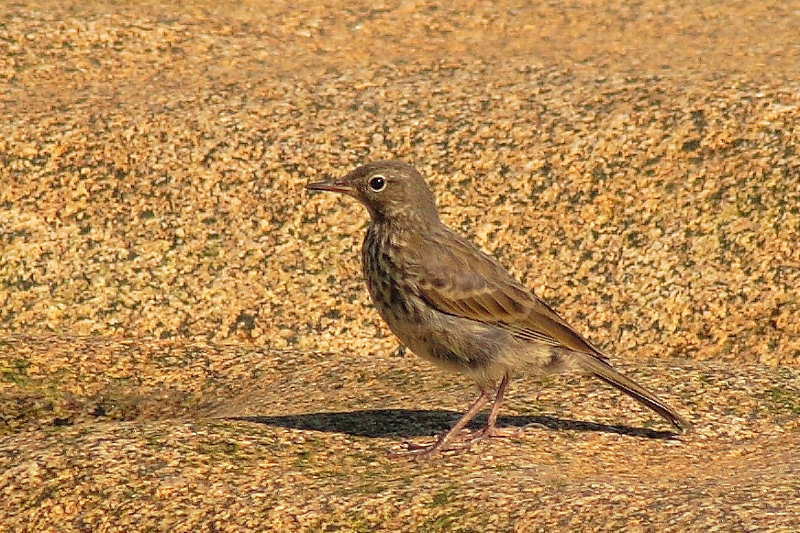 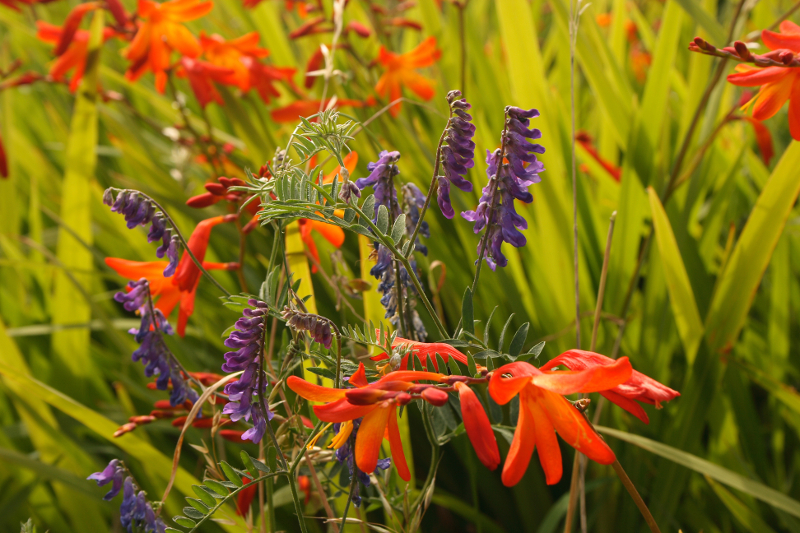 And, a couple of shots taken in less summery conditions. 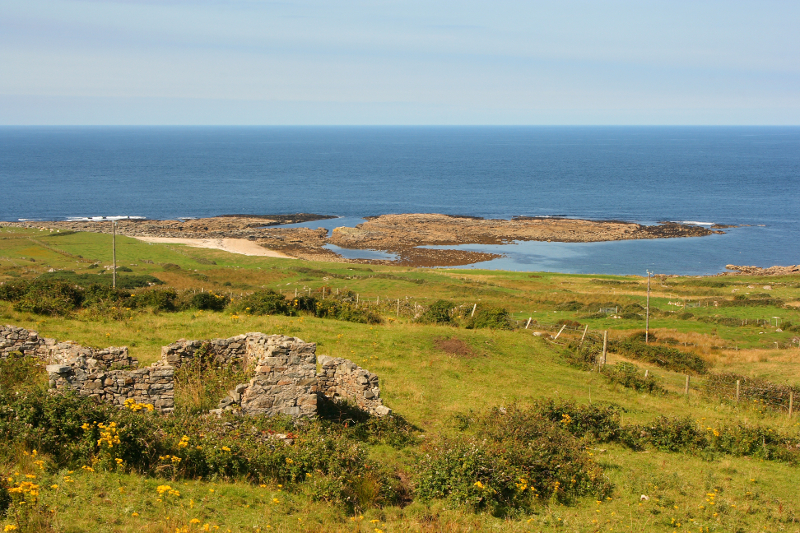 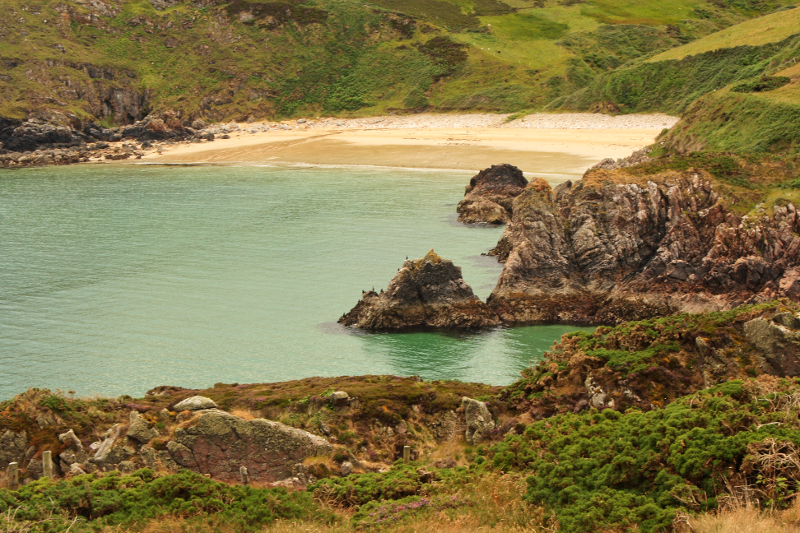 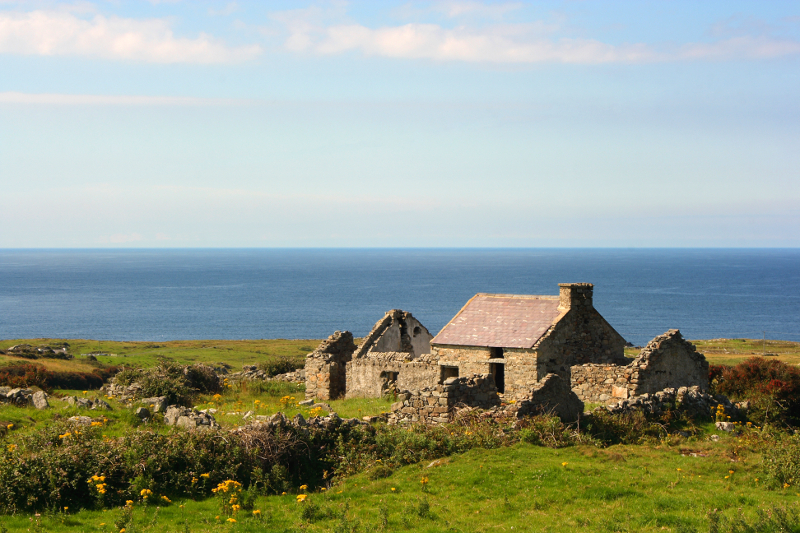 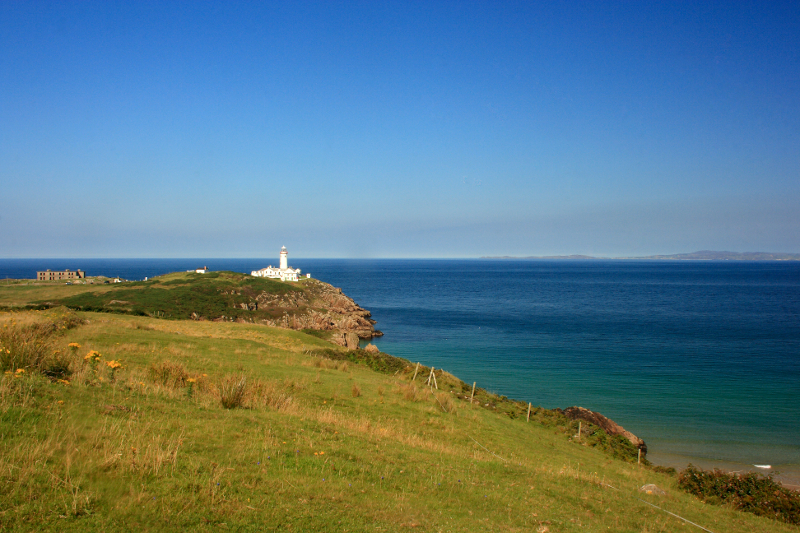 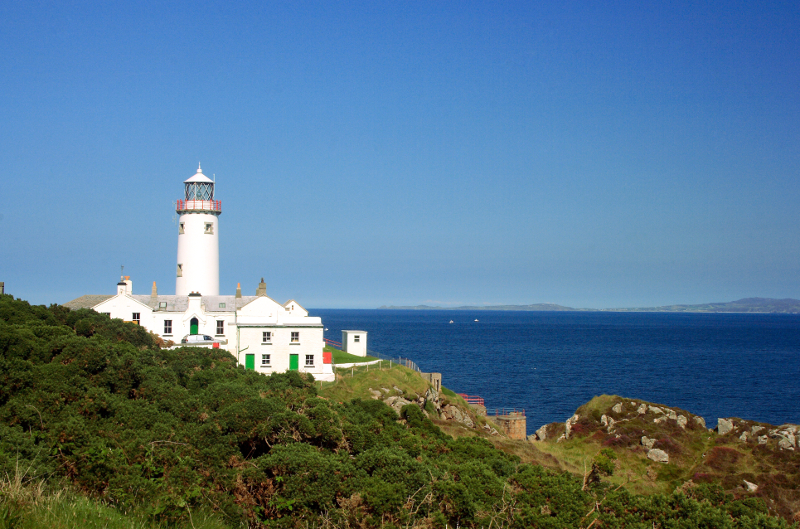 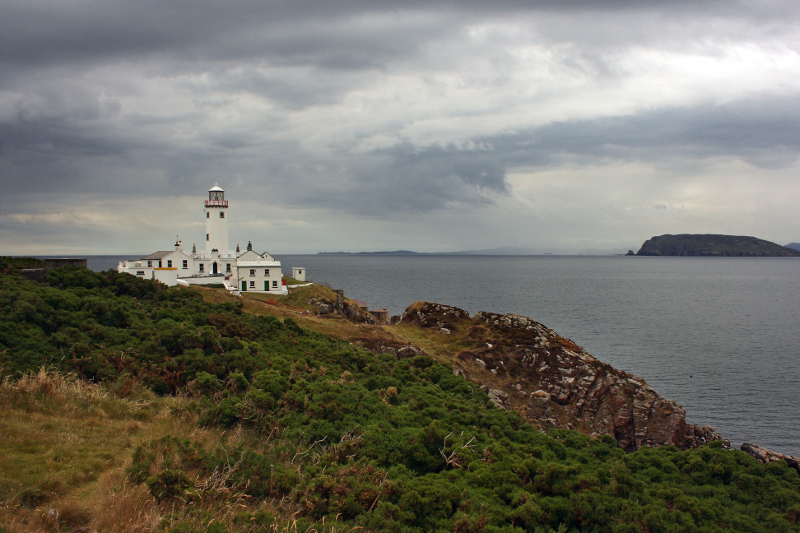 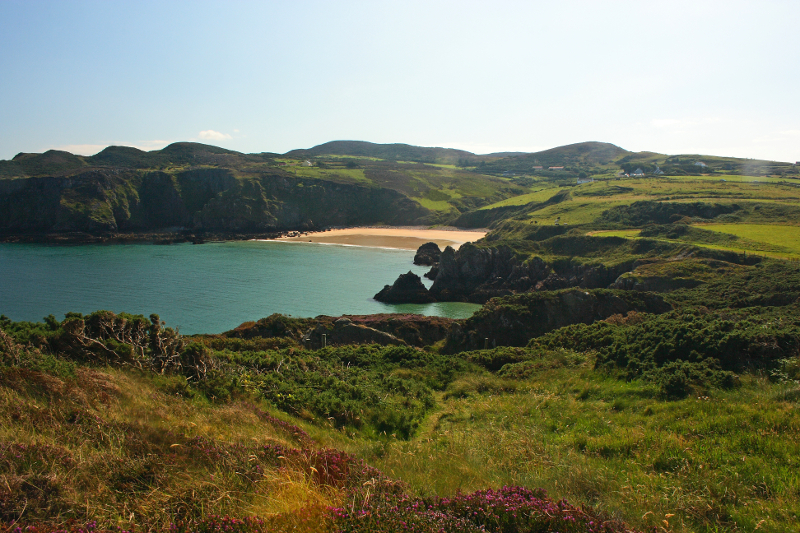 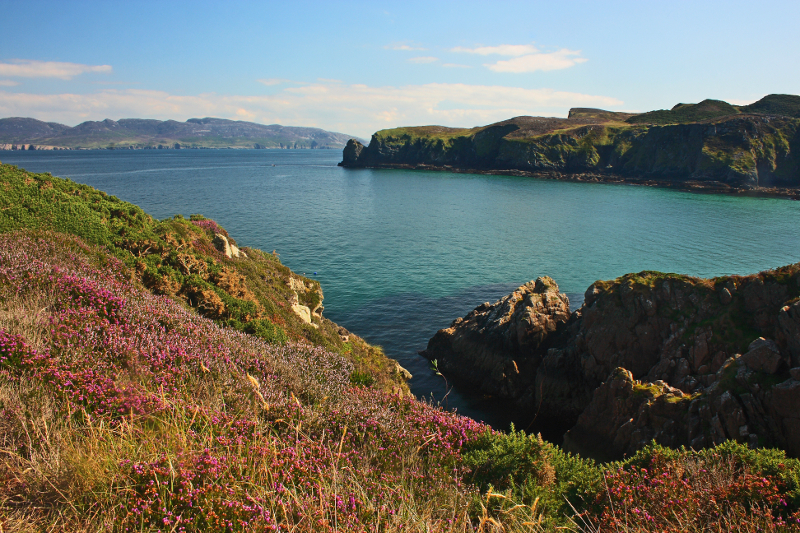 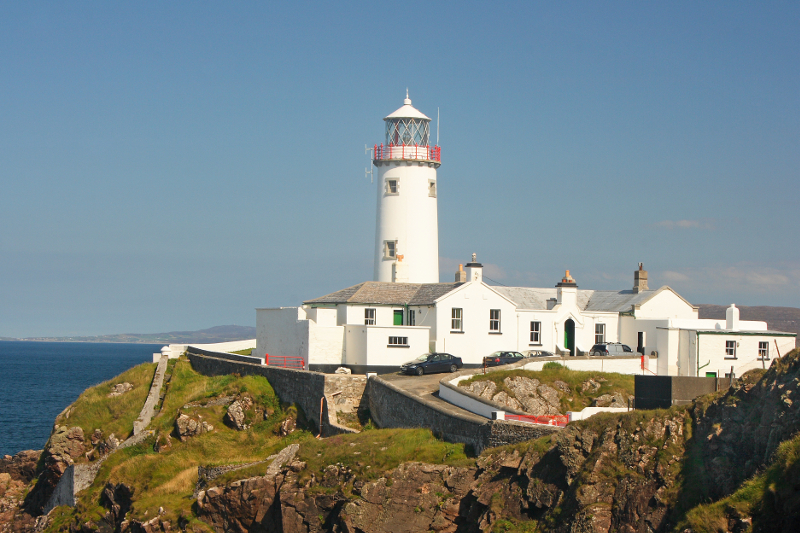 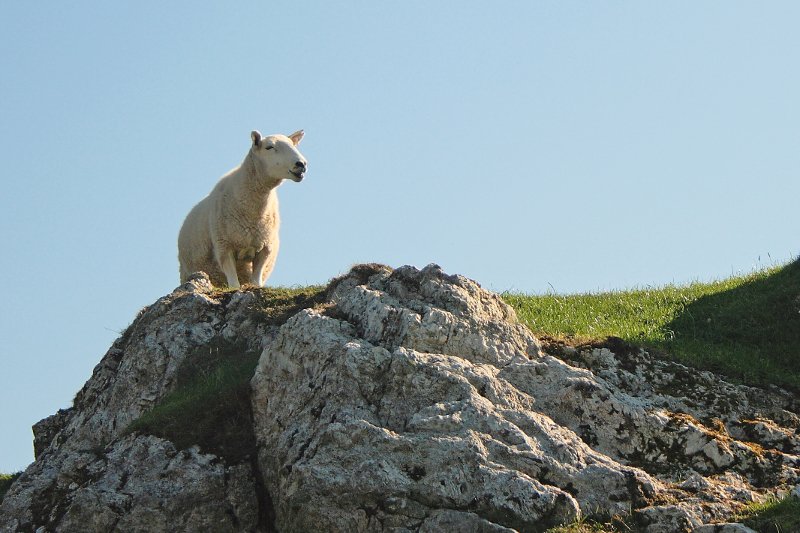 There is plenty more to see in this part of Fanad too, with cliffs, little coves, and great views over to Inishowen. 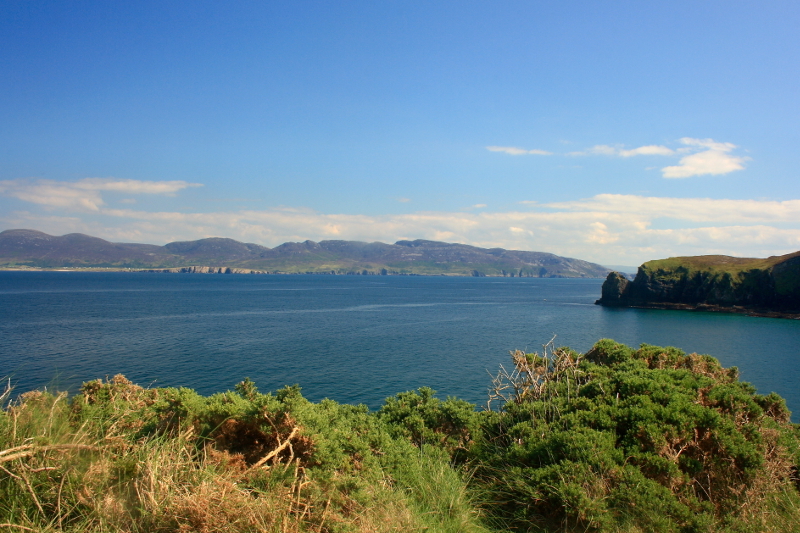 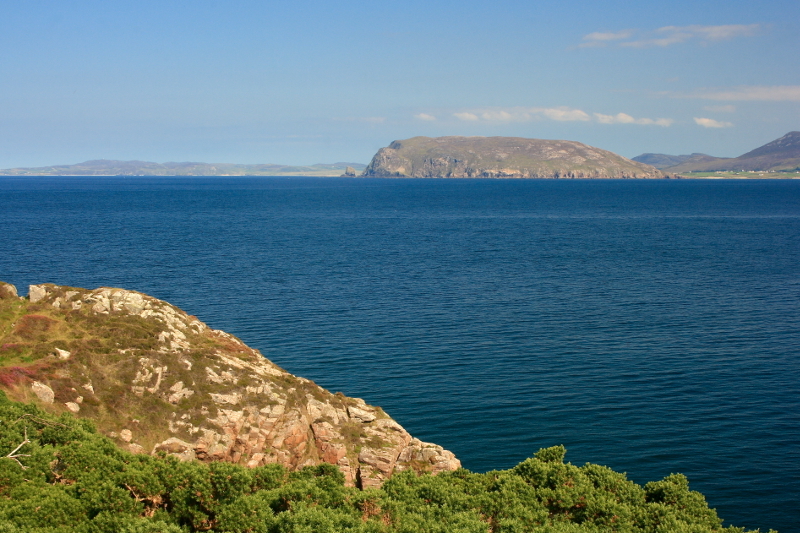 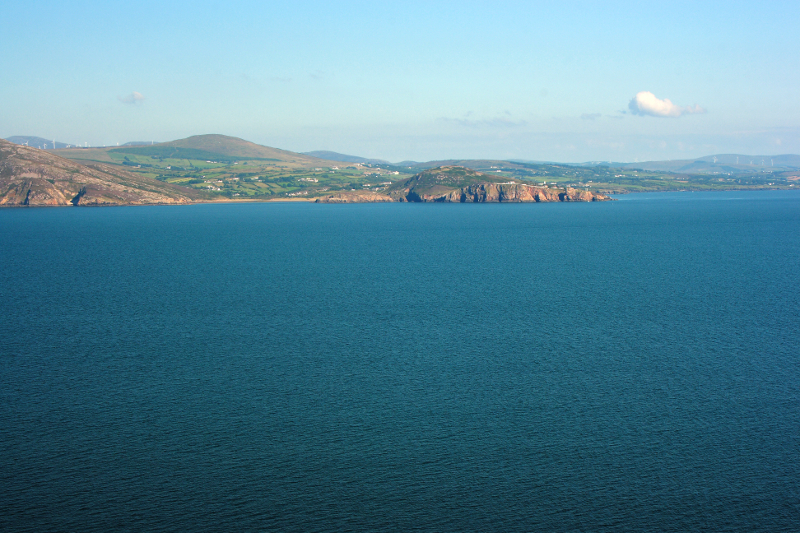 Dunaff Head, across Lough Swilly in Inishowen. 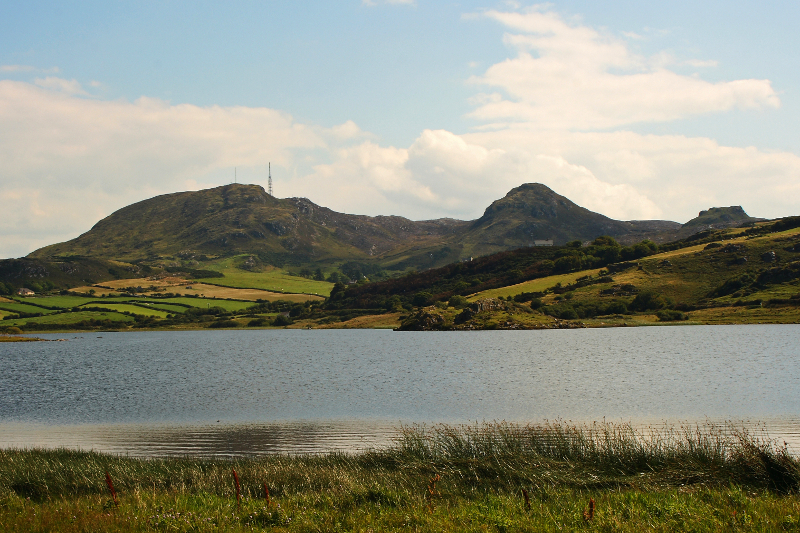 Inland, the road back south takes you on to higher ground, with good views over the seveal loughs below, and towards Murren Hill or Cnoc na Boirne. 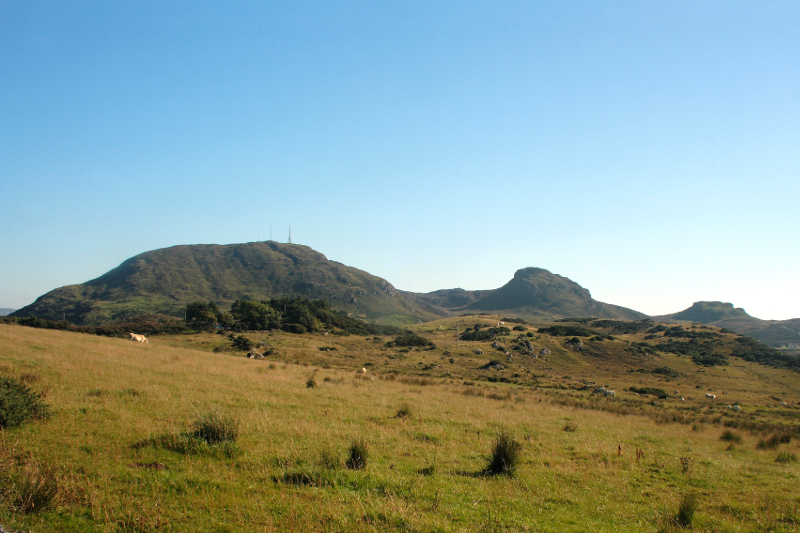 Murren Hill (Cnoc na Boirne) and its near neighbour, Dun More. 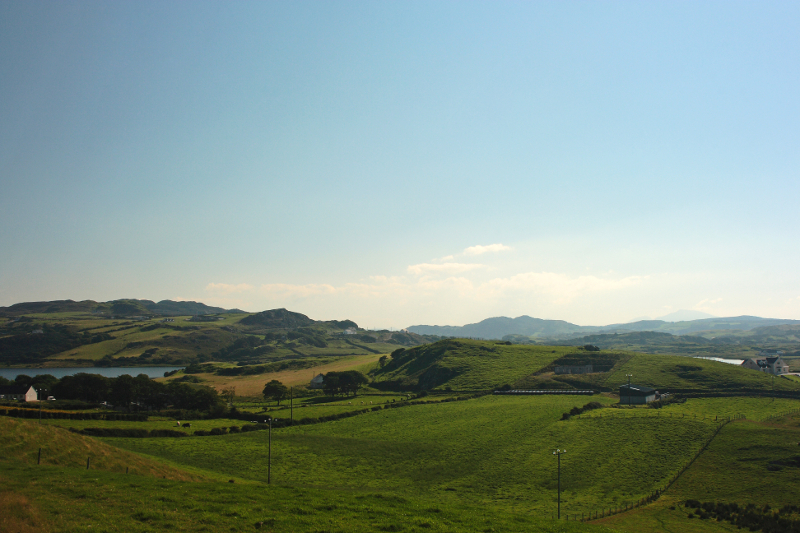 Murren and Dun More are small hills, but have a great profile, which has attracted my interest on other occasions. 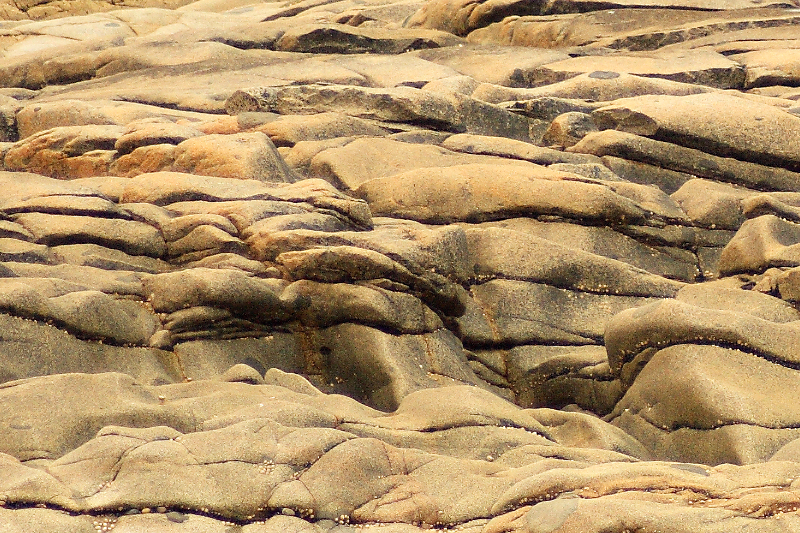 More about Murren in an upcoming post. 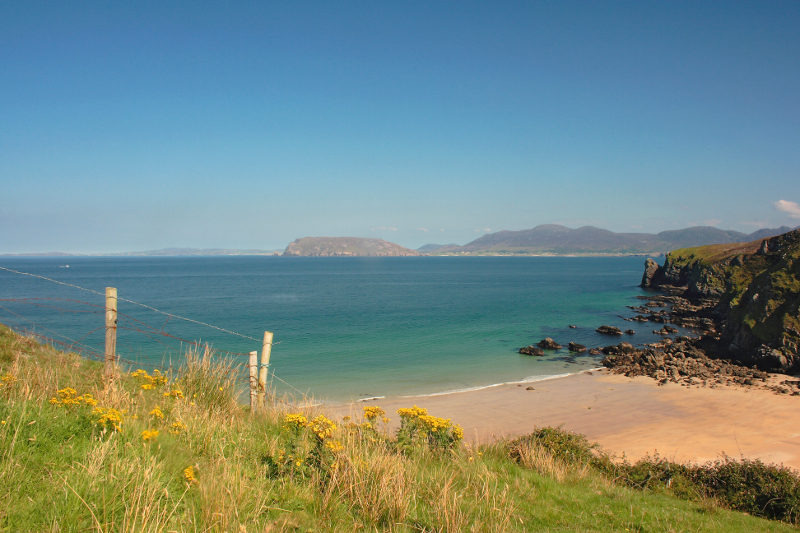 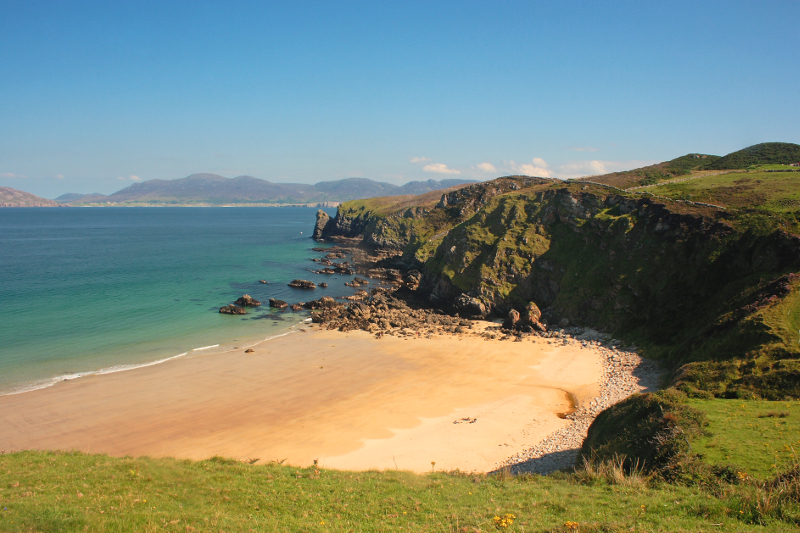 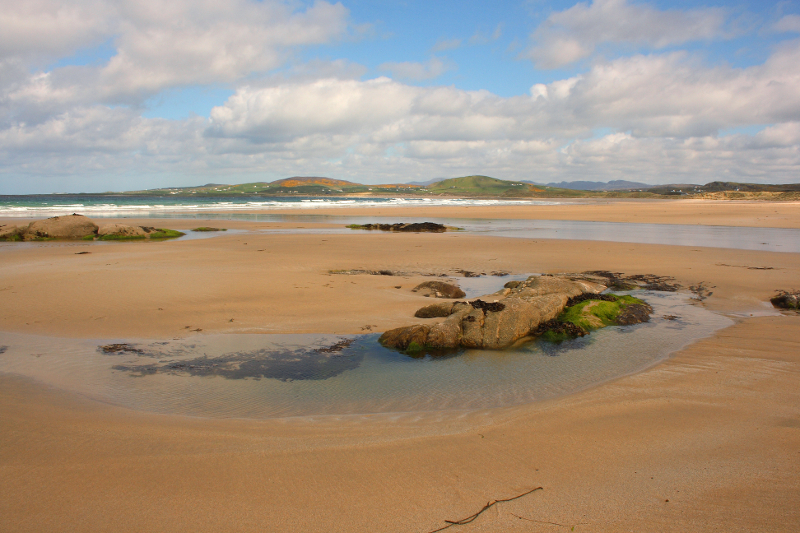 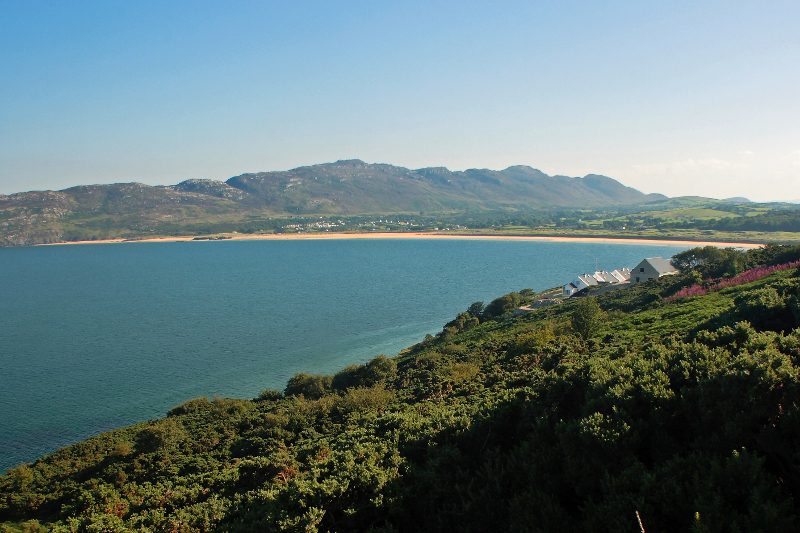 Moving back down the peninsula, this time on the eastern side, you approach Portsalon and Ballymastocker Bay beach. 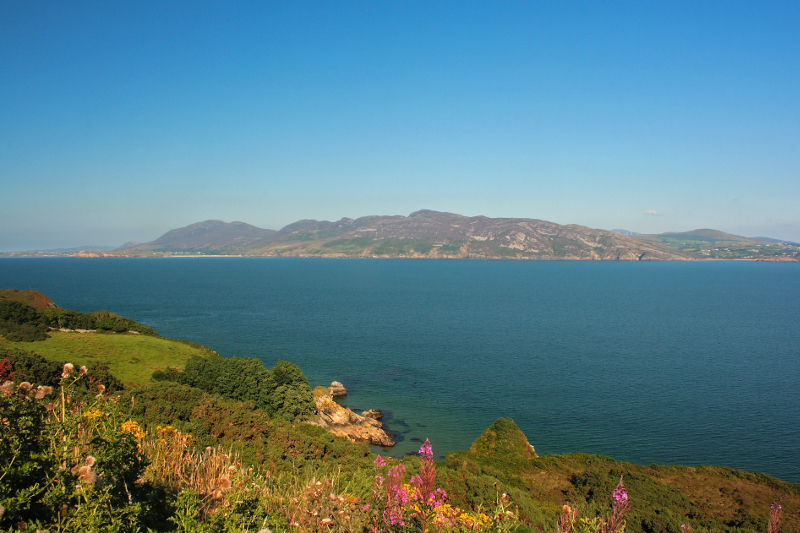 Looking across Lough Swilly to Dunree Fort. 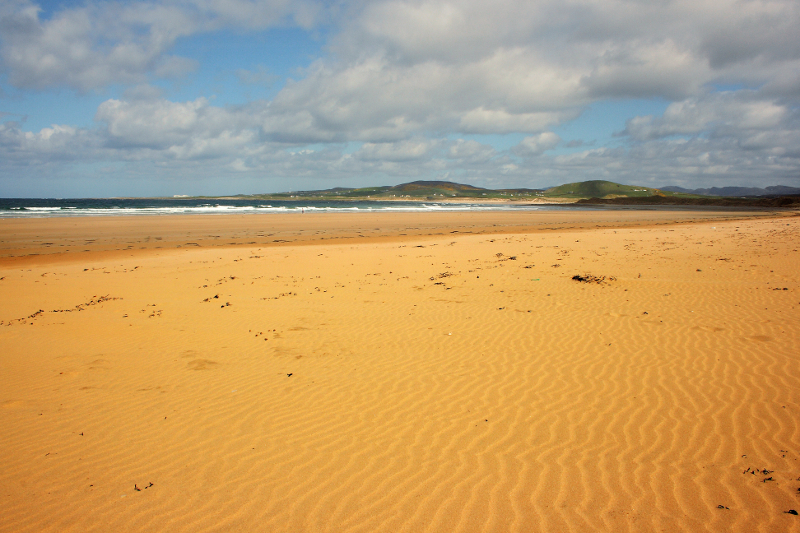 The long curve of Ballymastocker Bay beach. 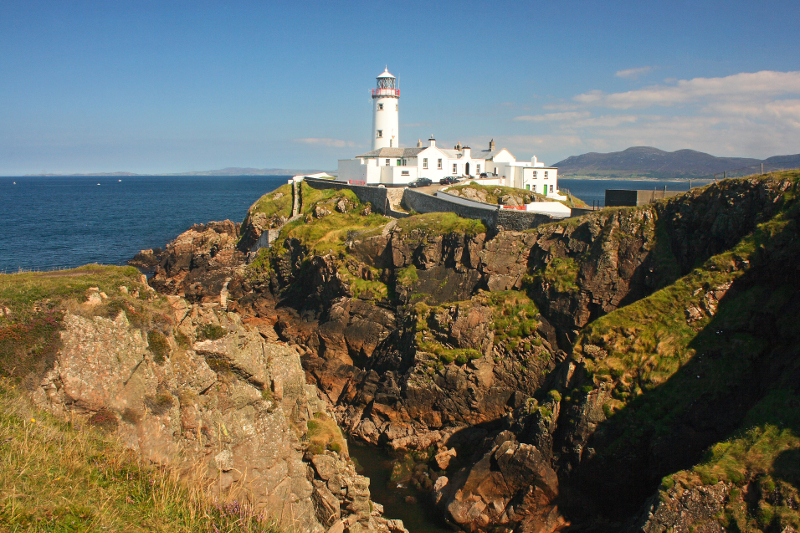 Even this long post couldn’t cover all there is to see in Fanad, but the links above have some more views, and I have some posts due from more recent visits. 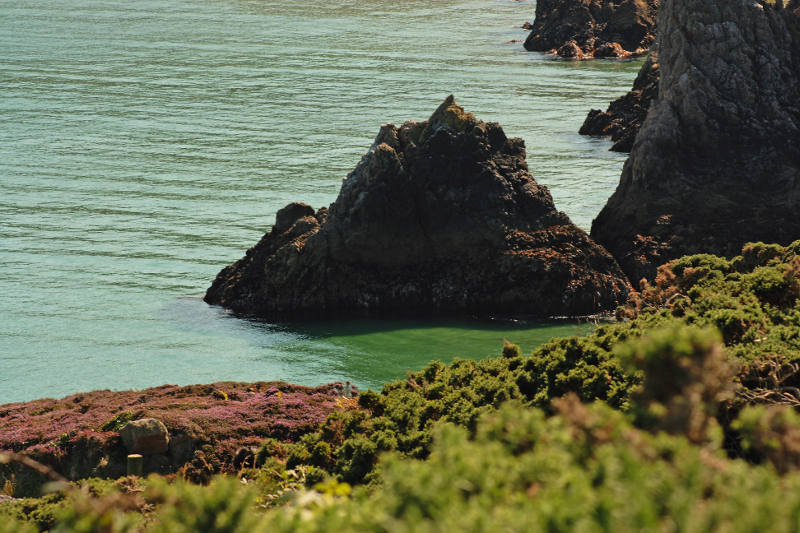 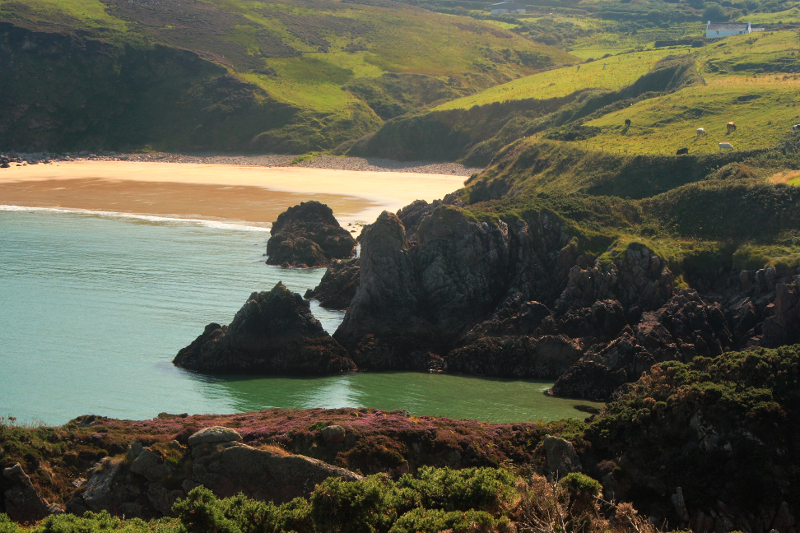 These will include some other notable places including a walk up Murren Hill, a coastal walk to see the Great Pollet Sea Arch, the Harry Blaney Bridge, and more. 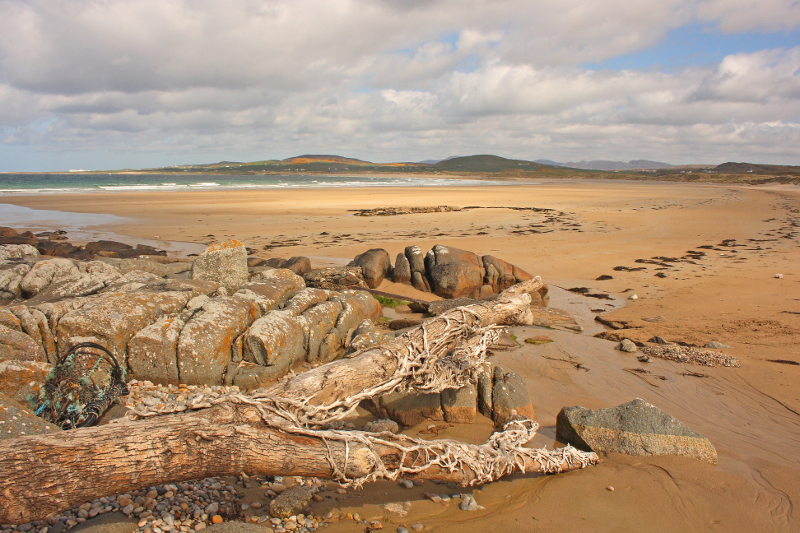 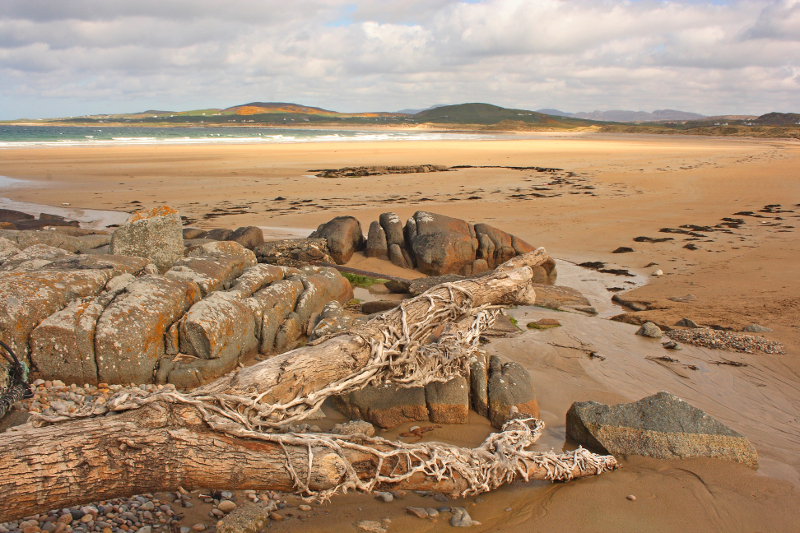 Posted in Landscape, Nature, PhotographyTagged Ballyhiernan, Ballymastocker Bay, bay, beach, Cnoc na Broine, Donegal, Fanad, Glashagh Bay, Ireland, lighthouse, Lough Swilly, Mulroy Bay, Murren Hill, Peninsula, Portsalon, seal, sealsBookmark the permalink. 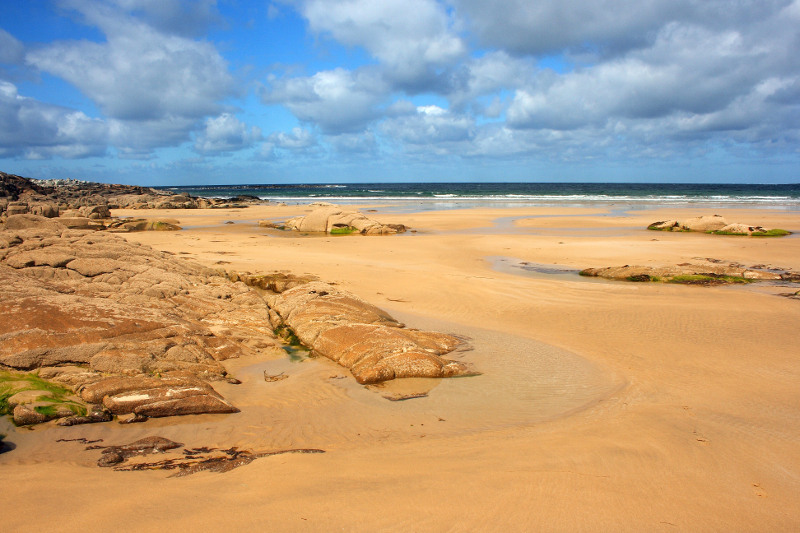 Great pictures – it all looks very inviting. 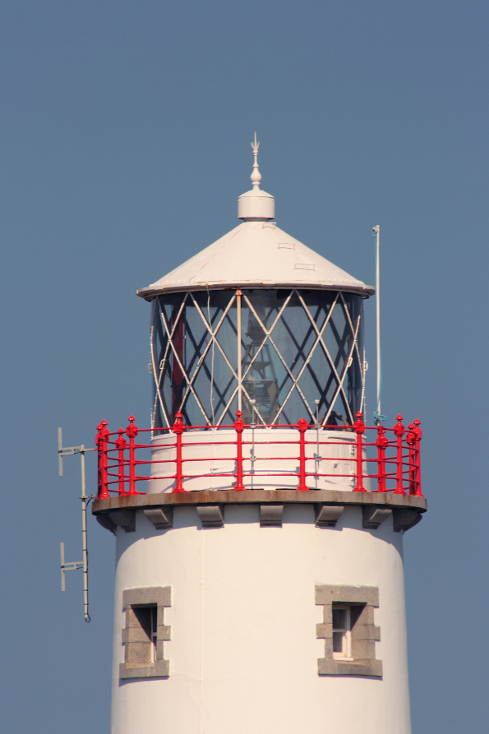 I’m looking forward to seeing the new photographs. 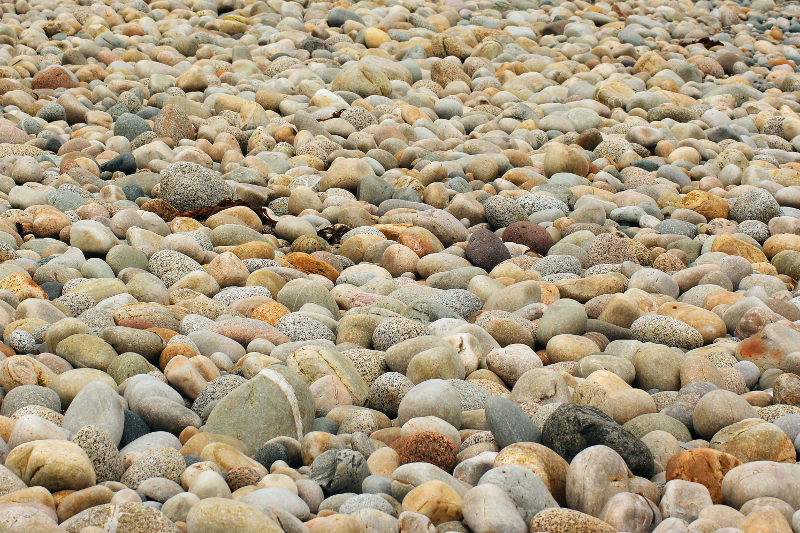 Thanks Jessica. 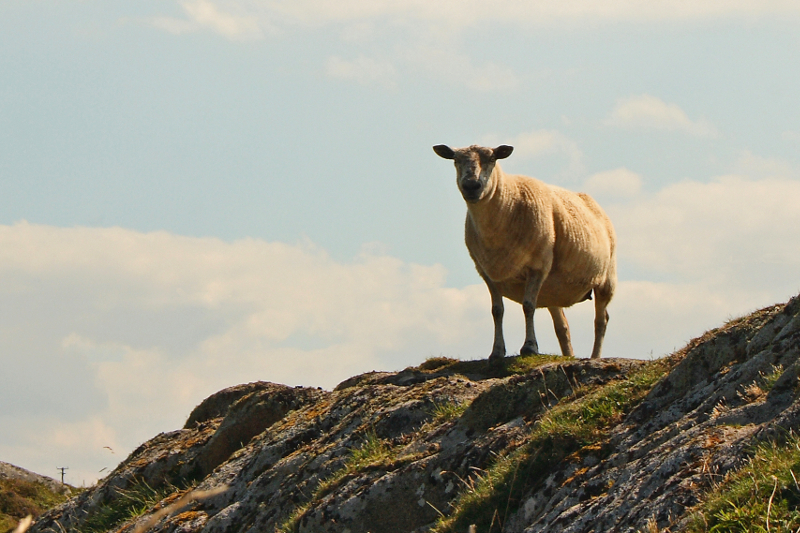 Almost finished the post on Murren Hill now, then another one due on a coastal, cliff top walk.